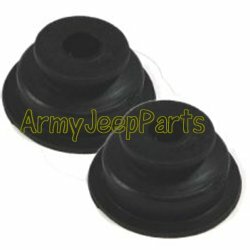 Draft pad rubber Grommet set for the Brake & Clutch. These are exact copies of the originals. They are made in Europe for AJP. Only used on early model MB & GPW's.